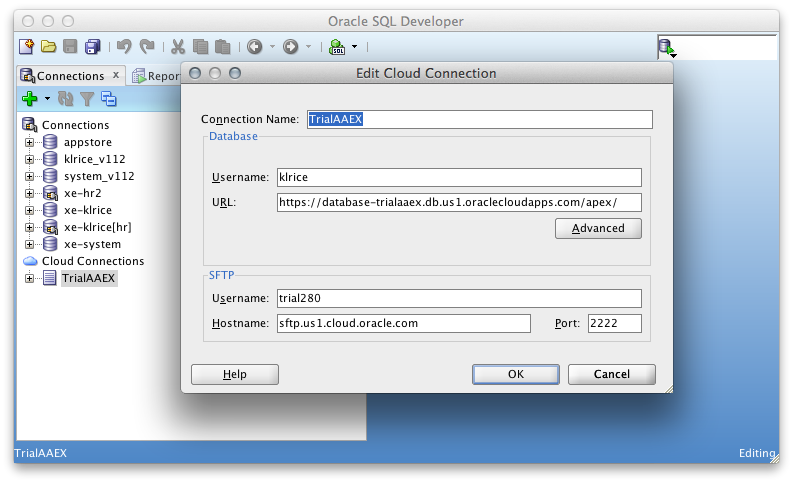 Cloud accounts are trickling out so figured I'd do a quick post showing how to connect SQL Developer to the Database Service. Check out http://cloud.oracle.com for details on the service offerings and to sign up for a trial. 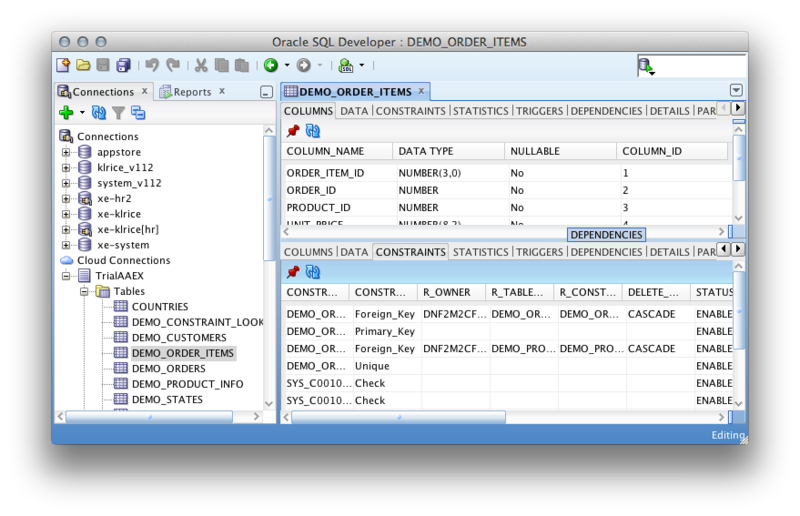 Once your service is activated, connecting SQL Developer is pretty easy. You have to go into the Application Express and create new user. 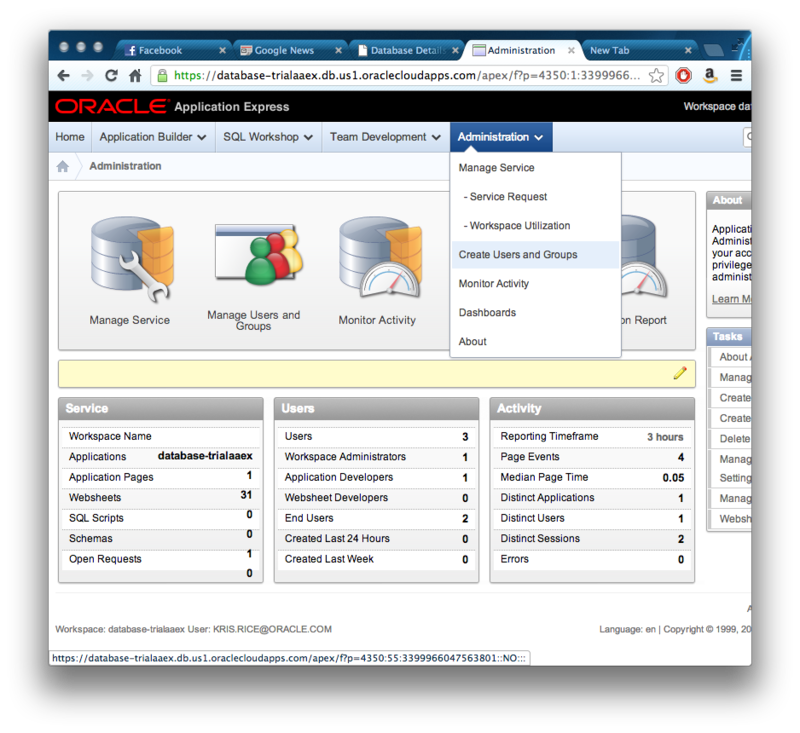 To get to the screens, simply choose Create user off the Administration menu. 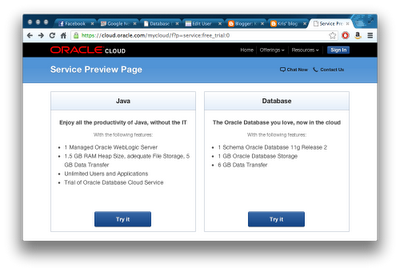 The key is that the User Groups listed at the bottom of the page have to all be granted. 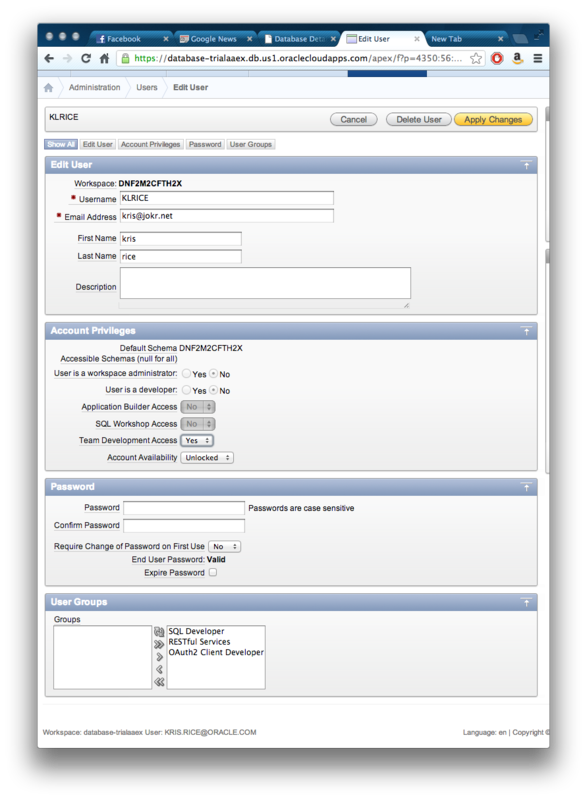 This is to allow SQL Developer an OAuth2 client to connect to the RESTful calls we have created. I'll get into that in another blog post. 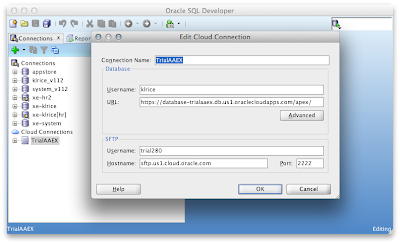 Now in SQL Developer, enter the username just created and the URL of the apex service into the URL field. 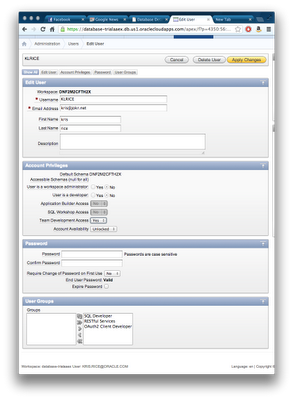 Also the SFTP credential can be entered for doing data deployment ( also in another blog post coming soon ). Then you simply use the tree widget as normal. 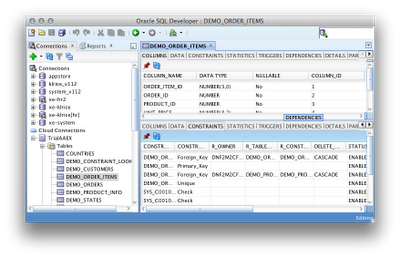 Expand the tree, expand the tables and see the ones we seeded in for initial tinkering. These are the clouds you are looking for.